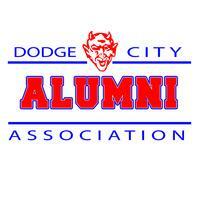 The purpose of the Dodge City High School Alumni Association is to research and maintain a current database of all graduates; to foster the school’s rich history, spirit and tradition for graduates and current student body; to establish a recognition program to acknowledge accomplishments of members that have had a profound influence on society; to give assistance in funding academic programs, equipment or capital improvements for the school benefiting all students. By joining, you can search for other alumni, plan reunions, find reunion information and get in on the latest district information! In an effort to protect your privacy, our database is password protected. Once you have submitted your information and it is reviewed, you will receive an email with the database password.